Dodge City. Tombstone. The OK Corral. Wyatt Earp will also be remembered as a guy who ran a piece of two-bit flimflam on Bunco Hill. And got popped for it—but then, this was no 1880s gambling saloon. 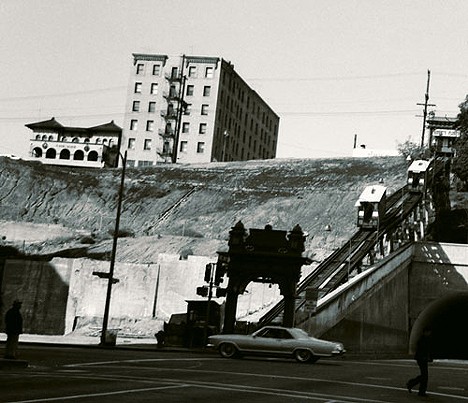 This was the grandest new hotel in Taft-era Los Angeles. Perhaps Earp was a little out of his element. After the turn of the century, Earp was based out of Los Angeles, trying his hand at the kind of gambling grown-ups do—oil exploration, mining ventures, real estate—with considerable less success than he’d had at the card table. Occasionally he’d work with LAPD on outside-jurisdiction work, like chasing fugitives into Mexico, but inveterate gambler Earp’s core motivation remained gambling. This would on occasion put lawman Earp on the wrong side of the straight and narrow—e.g., his refereeing of the Fitzsimmons-Sharkey boxing match of ’96, generally regarded to be fixed. And when Earp and his con-rades would set up their fleece outfit, where else would they go but that anchor of Bunker Hill, the brand-new Auditorium Hotel? The Auditorium had been open a scant six months when on July 21, 1911, a J. Y. Peterson sat down for game of faro with three sharpers from San Francisco—W. W. Stap, Waller Scott, and E. Dunn. But all would not go as planned. Seems that Peterson—a real estate agent with an office at 407 Stimson Building—got hinkey at the trio’s far-out tale that they were sore at their SF syndicate, and wanted to stiff their own backers by rigging the game to let Peterson win big. Peterson would thus play the rigged game—pinpricked odd cards, the dealer placing a finger on the table when an even card was to show—in front of others, and make a hefty profit on the $2,500 ($54,985 USD2007) he’d invest at the outset in chips. Realizing he had nothing to lose except his roll, he called in the coppers. Stap, Scott, and card-dealer Dunn engaged club rooms 425-426 at the Auditorium, installed their faro bank outfit and all kindred paraphernalia, and were ready to get down to the business of swindling Peterson—who was further tipped off to that fishy smell in Denmark as there were no other players present—when Johnny Law busted in. Down at the station-house, the W. W. Stap who inveigled Peterson into buy into a fixed bank game turned out to be none other than Wyatt Earp. Released from City Jail on $500 bond, Earp’s explanation was that it was purely accidental that he should be there during the raid. The police, in their infinite wisdom, elected to bust into the room before any gambling actually begun, which sank the conspiracy to defraud charge; the courts couldn’t make a vagrancy charge stick, either. In the end, the City Prosecutor decided there wasn’t enough evidence against Earp. Waller Scott pleaded guilty and demanded a jury trial, but the City Prosecutor “didn’t have the time” to take it up and let the whole thing drop. Dunn, aka Harry Dean, pleaded guilty and was given a six month sentence, suspended, on condition that he leave the city. And so Wyatt Earp went on his six-shooterin’ way: he hung around Hollywood and hit up William S. Hart to publicize his life. That never happened, ended up dying down on 17th Street, and was buried in a Jewish cemetery in 1929. Auditorium architect Otto Neher, with partner Chauncey Fitch Skilling, produced the New Auditorium Hotel, designed in what the papers for lack of a better term called the “Modern Classic” style. It was 60×162’, faced with light-colored granite, the lobbies lavished in marble, mahogany and mosaic tile. The six floors of 150 rooms are paneled in birch. The Auditorium is leased by Bernard Frank Green and his mother, Mrs. Mary Sells Green; in 1919 M. Drake Perry takes over the lease and buys the hotel from R. D. Wade in 1921. He puts in a grill room and makes another $100,000 in improvements. 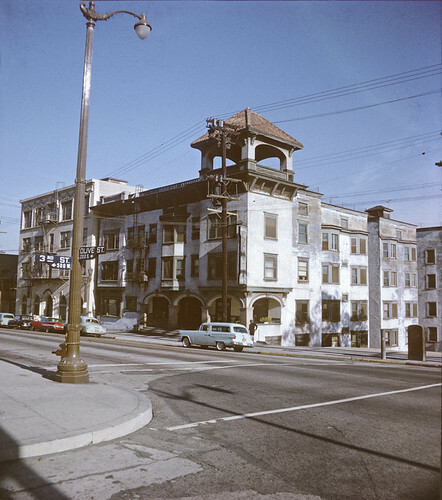 But the shock of the Biltmore Hotel being built on the opposite corner apparently killed Perry, and Probate Court sold the Auditorium Hotel to George Roos. Roos (vintage clothing collectors out there certainly know the Roos Bros. label—George was one of those Rooses) eventually sells to Charles Harris, who held the lease and ran the hotel through the 20s. It’s an exciting time: everyone’s abuzz about the sale of the California Club at Fifth and Hill to the Title Guarantee and Trust Company, and the forthcoming home of California Edison at Fifth and Grand. Harris refurnishes 100 rooms and renames the Auditorium the San Carlos in January 1929. Why? Because at that point he was spending most of his time in Phoenix, directing the opening of his mighty San Carlos there. Just as there were once matching Auditoria, there were now Sister San Carloses. Charles Harris in 1931 departs the Phoenix San Carlos for yet his third San Carlos, this one in Yuma. He eventually sells his Los Angeles SC in toto to G. G. Joyce, owner of the Hazlewood restaurant chain in Portland. 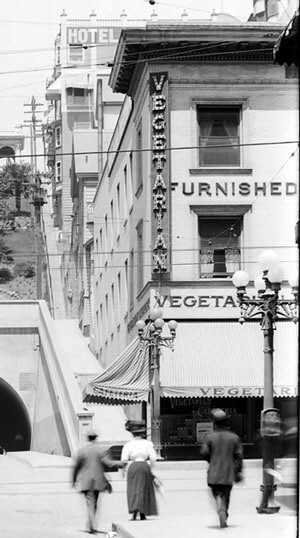 William Friedland was a cigar store clerk at one of the San Carlos’s sidewalk shops. At least he was until February of 1939, when he got popped for making book therein. The establishment at 513 West Fifth had been raided many times for horserace betting, and in November 1940 Friedland had to go before the LA County Grand Jury to dish the dirt on a crooked horserace racket. He was grilled by none other than Jerry Gielsler, chairman of the Horse Racing Board, who disclosed the racing scandal. 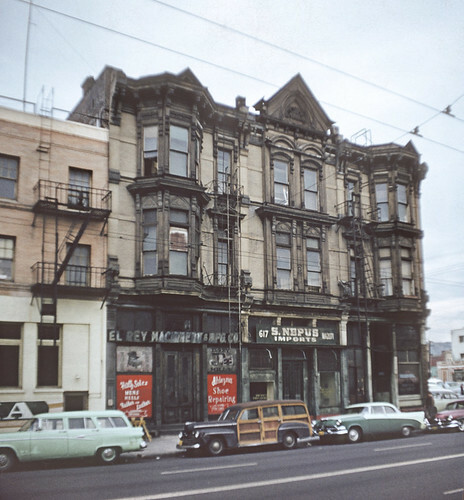 Swirled into the mix of our tobaccoshop/bookstore at the San Carlos were bribe-taking jockeys and horse owners, as well as local sharpies Benny Chapman, I. W. Kivel, aka Doc Kebo; Bernard Einstoss, alias Barney Mooney; and Saul “Sonny” Greenberg. Mooney and Kebo gave horse owner Irving Sangbusch (alias James J. Murphy) over $20,000 to bribe jockeys at Hollywood Park in 1939; by the end of 1940 the take was up to $180,000 on a single race. Things got even saucier when the horse trainer for Don Ameche and Chester “Lum” Lauck testified that he was approached by Bernard Mooney, and that Mooney wanted to fix Ameche’s horses to lose races. Apparently Mooney enlisted his pal George Raft to have a friendly discussion with Ameche about the subject. Let’s stay on the subject of crime. The Auditorium wasn’t open six months before the help developed sticky fingers; in July 1911 bellboy Raymond Perry was nabbed in his hotel down on Grand between 5th and 6th, secreting stolen diamonds in his socks. In 1919 Harry Royse decided to give up the life of a minister. 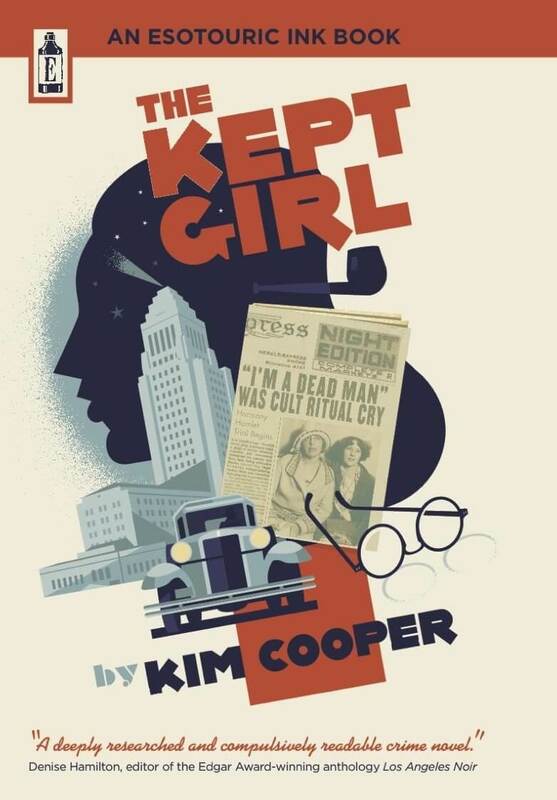 The life of a Methodist clergyman—which he’d led for ten years—lost its kick apparently, so he spent most of that ’19 checking into hotels and burglarizing the stores therein, and sending ill-gotten gains to his new lady-friend up in San Francisco. Royse was finally nabbed in the act with his fifteen-year-old nephew in tow, pilfering typewriters from the Auditorium’s shop on the corner of Fifth and Olive. He was given one to fourteen at Q; the nephew went to juvenile hall, and the gal up north got no more pretty things. The early morning of Dec 21, 1924 saw a the arrival of the “variety bandits.” Two men hit the Moon Drug Store at 3526 West Washington, forcing the soda clerk into the closet and making off with $200; they hit the Barnett Drug Store at 3723 South Vermont, where they locked up two women and emptied the register of $75 (during which time a customer entered; one of the bandits took off his cap and waited on the gent, selling him a magazine and pocketing the proceeds); they hit the Zenith Drug Store at 4929 Moneta, and made off with $60; and when they then hit Harry Spooner’s drug store at 4493 Beverly Blvd, they got $30 and eight pints of whiskey. Maybe it was the whiskey. Maybe it was getting late. Maybe it was just time for their luck to change. Because things didn’t go so well at the Auditorium Hotel. Just before dawn, these two heavily armed gents muscled night clerk J. C. Evans into the back to open the safe. Though threatened with instant death, Evans claimed he didn’t have the combination. As the two holdup men argued, Evans slipped away, and the bandits took right after him. Unfortunately for them, Evans had a good knowledge of the many doorways and halls of the lower floor, and got a good lead on them, long enough to turn, produce his own hand cannon, and open fire. The robbers, one of them apparently hit, had to make it out of the hotel in a mad dash and into their touring car and speed away into the first morning light, never to be heard from again. 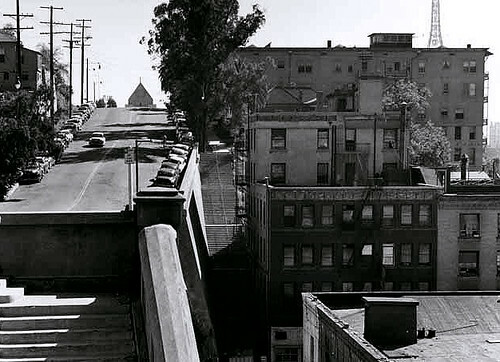 August 14, 1927 was a red-letter day for crime in Los Angeles: armed men stole $2,000 in cash and jewelry, and a $1,500 car, from a auto dealership at 1355 South Main; two men were beaten and robbed by a gang of thugs at West Tenth St. near Georgia; two men in an automobile drove up alongside—a reverend, no less—Rev. 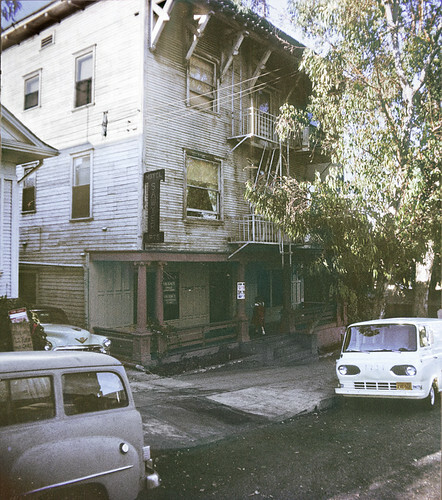 Joseph Curran at Eightieth and Moneta, and robbed him without even getting out of their car. Lastly, later that night, three gunmen showed up at the auto rental concern in the Auditorium Hotel to relieve manager D. C. Huff of $85 ($1,007 USD2007). Let’s move on from crime to death and despair! In June of 1914, Mrs. H. G. Purcell, 50, a woman of wealth and taste, had come from Chicago to buy a lot and build a home in sunny Los Angeles. For two years she lived in the Auditorium Hotel, well-liked and highly sought after for social and cultural gatherings. And yet, her father having died of cancer, she believed, rightly or wrongly, that it was going to get her too, and drank a phial of carbolic acid in her room. 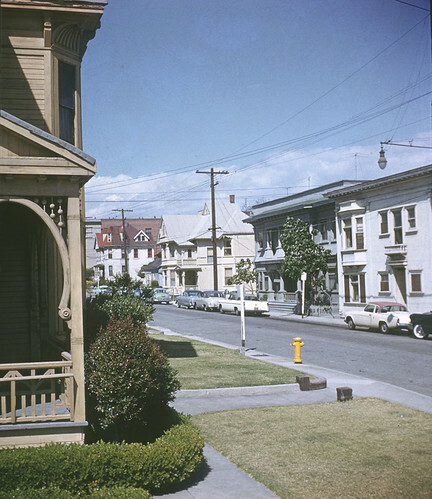 February 1940, insurance man Jesse Edward Patty, 47, left his home at 1227 S. Plymouth Blvd. and checked into the San Carlos with murderous intent. Self-murderous. Several letters to his wife and friends later, he took poison. L. D. Roberts, a 50-year-old lumber man, left his home at 7024 Mission Place in Huntington Park, July 1942, to check into the San Carlos. Roberts had problems, but brought with him a traditional problem-solver, the .32 automatic. Joe Guiterrez, 45, lived at the San Carlos. He’d been separated from his wife Rafaela Uriarte Guiterrez, 46, for two years. It was Sept. 3, 1941, and Joe had had enough of the San Carlos. He wanted to come home to their house at 1314 Sunset Blvd. He wanted a reconciliation. Always bring a gun to a reconciliation. Rafaela’s kids from a previous marriage were home—Rosie, 24, Lydia, 20, Mario, 16, and Carmen Uriarte, 14. Mom and “dad” hadn’t been talking long when they heard the shot. Joe came out firing, the girls fled, Carmen took one through the knee and Lydia through the shoulder before Joe was tackled by Mario. Gutierrez shoved the gun into Mario’s side and pulled the trigger, but the gun was empty. Mario kicked dad out the back door. Gutierrez reloaded his .25, and gave himself the same treatment he gave mom: one to the head. And lest we forget “Miss Dale Erwin, 22, of Trenton, NJ” who checked into the San Carlos in August of 1946 and promptly leapt—or fell—from her window. As she landed in a second-floor courtyard, and there were plenty of taller hotels around, let’s give her the benefit of the doubt. Let’s go back in time a bit and take a look at some of the folks who make the Auditorium so special. One is Frederick Jordan, vice-president of the Entomological Society of England. The esteemed zoologist, whose soul is one with butterflies and moths and whose body is dedicated to the netting of terebrant hymenopterae—those that fly, of course—is a welcome additon to the Auditorium. But not as a guest. He’s the night porter . Seems his English doctor told him to get some sun, and not work too hard. Despite the lateness of the season—October, 1911—Jordan found Los Angeles choked with butterflies, especially the Spring Beauty, the Holly Blue, the Zebra Swallowtail, the Checkered Skipper, the Brown Argus, the Clifden Nonpareil, the Tortoiseshell, the Mother Shipton and the Duke of Burgundy Fritillary. That’s great Jordan, now get back to work. Yep, that’s what it says. Not all sightings at the Auditorium are happy ones. Leo Julofsky was a messenger for E. D. Levinson & Co., 52 Broadway, New York. He was walking down the street one day—September 19, 1919—with another messenger and $330,000 in Liberty bonds. On their way to Mabon & Co., 45 Wall St., Julofsky handed his satchel over to the other messenger to go in and wash his hands at 71 Broadway. The other messenger waited…and waited…and opened the satchel. It was empty. Julofsky, and $141,000 ($1,676,761 USD2007) were gone. Julofsky rented an apartement on East 38th, just off Madison Ave. for a month, and then headed west. He met an ex-policeman named John J. Stoney in a Detroit YMCA and they began to travel together. (In answer to a question about girls, he was adamant that no girls were mixed up in the plot whatsoever. Make of that what you will.) Julofsky and Stoney were shacked up together at the Auditorium when Julofsky was nabbed in the lobby on December 27. “I don’t know why I did it,” said the son of a retired cloak and suit maker, “no girls were mixed up in it and no one is to blame but myself.” He was given three years and change in Sing Sing. He won’t be alone, though, as his brother Milton and a bond dealer from the Bronx named Arthur Miller were also sent up for criminally receiving his bonds. 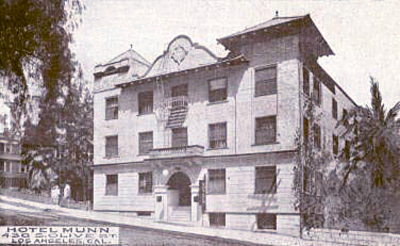 The Auditorium Hotel features itself in a roundabout way as a minor footnote in the famous 1922 Klan raid of Volstead-violating Mexicans in Inglewood, wherein a police shootout ended up in the cops shooting—guess what!—three of their own, one fatally (the town constable), discovered only when the hoods were opened. And for the last time, that’s Kleagle, not Fleegle. February 7, 1923. P. C. Steckel, a boilermaker, and prominent in organized-labor society, was in court today, telling the judge a tearful story all about how he’d been awarded the Carnegie medal of honor for rescuing some child from an oncoming train. The judge took this in, told Steckel that Scheherazade had nothing on him, but that it had precious little to do with violating the Miller-Jones narcotic law. Seems Steckel sold four ounces of morphine to a narcotics enforcement officer at the Auditorium Hotel. Nevertheless, Judge Bledsoe said that Steckel was due some consideration for possession of the medal, and gave him only two years at McNeill Island instead of the customary four. The Auditorium was also an exhibition hall, of sorts. It was where you’d go in 1925 if you wanted to see, on display, Frank Prevost’s decoding machine. Weighing only half a pound, but with a limitless capacity for sending mechanically coded messages, it represents twelve years of study and effort. See it at the Auditorium before it’s snapped up forever by the War Department! So what became of this wonderland of wonders, you ask? The San Carlos crept her way into the Future, turning her back on the demolition of Bunker Hill behind. Then, in 1983, David Houck, president of Auditorium Management Co., which purchased the Philharmonic from Temple Baptist, announced demolition to make way for a new office building, hotel and residential condominiums. (Interesting management style, and it remains a parking lot.) Physicians Pharmacy, which opened in the Auditorium Office Bldng. in 1906, moved its vast pharmacy museum—endless Edwardian prescription books, grinders and corkers, bottles full of arcane lotions and potions—across Olive to the San Carlos. That was a bad move: the San Carlos’s days were numbered. What’s there to tell? Somewhere around 1987 the corner was cleared. Not a word in the papers to mark its passing. Nobody cried for First German Methodist, either. The Southern California Gas Company thought their headquarters would be nifty there. Richard Keating of Skidmore, Owings and Merrill thought it would be cool to design the top to look like a blue flame. Which it sort of does. At least you can eat at their Blue Flame cafeteria. Why its crown does not light up blue at night is a mystery to all. In any event, it is finished in 1991. That then is the tale of the Auditorium/San Carlos Hotel. Walk in the Gas Co. tower sometime and ask for the Wyatt Earp suite, you’re late for the faro game. Images courtesy Los Angeles Public Library Photo Collection, USC Digital Archives, and California State Library; postcards, author, except Auditorium lobby, for which I owe my usual debt to Brent C. Dickerson; sleek shots of the Gas Co. Tower from the sleek e-brochure found here; tower under construction photo from the skyscraperpage forum; and the Earp images are just all over the place. In that our post about the earth carvings (the Cuscans have nothing on us) at Second and Hill garnered some interest, I thought it worthwhile to detail salient features and goings-on sundry of other buildings on the block. One notable structure looming over Hill was the El Moro. The Sanborn Maps in the Dirt Patch post show us the house at 109 South Hill was built between 1888 and 1894. This was the home of prominent Los Angeles druggist, and President of Western Wholesale Drug Company, Howard M. Sale, who had arrived from Pueblo, Colorado in 1886. Mr. and Mrs. Sale built Castle Crag in 1888 but decided Bunker Hill was the proper place to be, so sold out in ’89 to build 109 South Hill. This house on the bluff was a center of Society for some years before Mr. and Mrs. Sale decided to turn it into a hotel in 1901 (moving into a larger house at Ninth and Union in 1902). With the Sale’s three-story addition to the now-named El Moro, the structure extended back 133 feet and included a total of thirty-five rooms. 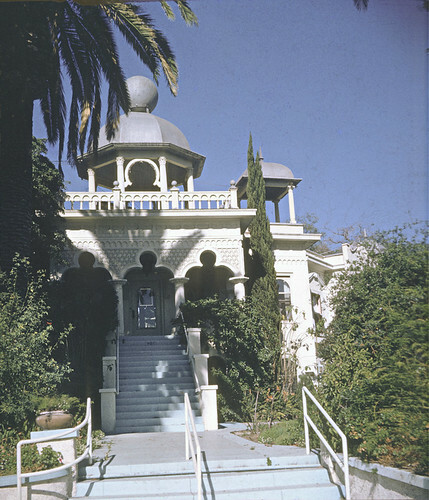 The El Moro’s location, some 150’ above the sidewalk, made firefighting a little tricky, which aided in a near-total loss of the front portion of the mansion in January 1914. There were thousands of spectators at the scene, and whether they turned out for the dramatic blaze or the sight of sixty some-odd guests in an early-morning state of deshabille is a matter of conjecture. Not a lot of Postwar noirisme at the El Moro, if you’re after that sort of thing. Mrs. Mollie Lahiff, 50, died of (what the papers termed) accidental asphyxiation after a gas heater used up all the oxygen in her tightly sealed room, February 26, 1953. Should you be so inclined, consider how drafty these places tend to be. Tightly sealed takes some doing. Just saying. 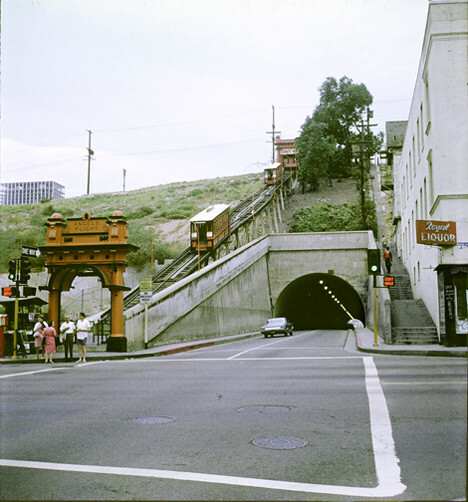 And now, for your edification and delectation, the unhappy end of a streetcar just below the El Moro, 1937. 132/134 South Olive is one of the oldest stuctures on the block, dating to before ’88. Here’s a shot of the H-shaped building, next to our old pal, the Argyle. January 24, 1895. Mrs. Josie McGinn, a widow of 28 with a well-grown girl of 10, was sitting with her stepsister Grace in their home at 134 (in the image above, the one on the right), and Josie mentioned she was feeling poorly. Grace suggested a walk. At the foot of the terrace steps on Broadway Josie complained of feeling weak, but they continued down Franklin nonetheless. When they hit New High Street, Josie collapsed altogether. When asked what her trouble was, Josie replied, “I have taken laudanum.” She was taken to Receiving Hospital, where her life was saved, and there explained that while she was fixing her hair at the bureau in preparation for the walk downtown, there sat her glycerine and laudanum—intended for her ear condition—and in a moment of impulsive despair drank the laudanum. Such is the torment of modernity. 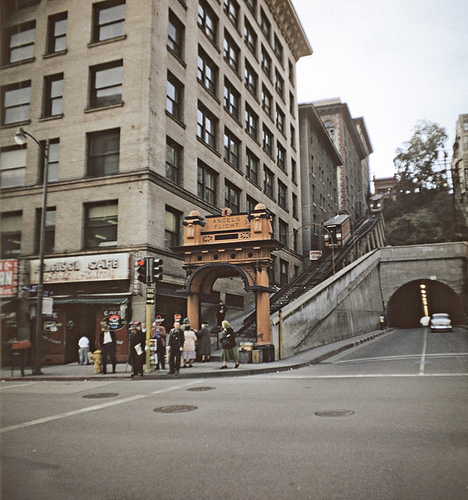 A favorite phrase of Edwardian Angeles is “sneak thief,” and Bunker Hill sneak thieves were forever securing some silver coinage here and a jeweled stick-pin there; on August 17, 1903, for example, during Mrs. H. Ware’s temporary absence from 132, a sneak thief entered and stole $10 and a gold watch (a similar burglary occurred that same day, where at 104 S. Olive a room occupied by Mrs. Case was ransacked and liberated of $20). Mrs. Frances Valiente, about 25, lived in 132 with her two boys, Frankie, about 2, and a one year-old infant, unnamed. Frances went out one Friday night in April of 1951 and didn’t elect to return. Frank went to Juvie and the infant to the nursery at General. July 30, 1954. Jesus Chaffino is a 2 year-old with a talent for opening doors. 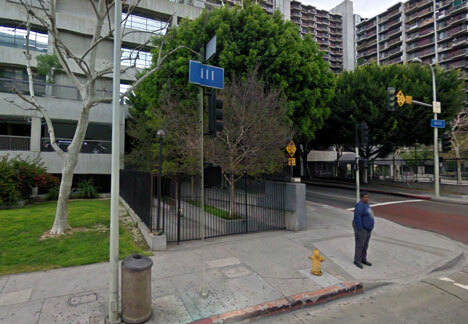 Apparently his mother, Maria Avila, didn’t tell her sister-in-law that when she left her place at 121 North Hope and dropped of the Jesus at 132 S. Olive. He was turned over to juvenile officers when he was found wandering near First and Olive at five a.m. Sneak thiefs! enter 425 in 1902 and make off with a stand cover and a fine wall picture. Is nothing sacred? The answer is no. Not to the sneak thief. Harry Wilson was an actor who decided to take up newspaper work. He was assigned to the police news, was as such often exposed to suicides down at Receiving Hospital. This, it is thought, had a disturbing, destabilizing influence on his mind; Harry left a note for his wife on what he thought was going to be the last day of his life, October 8, 1904, and with that took the gas-pipe in their apartment in 425. He survived, and with luck returned to neither tread board nor sling ink. So See fetched his revolver and leaned out the upper story and commanded the man to hold up his hands. With a great bound the man leapt over a tall fence some four feet away, while See fired and missed. The burglar, well-dressed and polite as could be, broke through the back screen door at the adjoining apartment house at 421, strode lightly through the hall; he tipped his hat to a young lady in the hall and she replied “Good evening.” He stepped out on to the front porch where several roomers were sitting. He bade them all a good evening and, tipping his hat, walked slowly down the street. Moments later it was Charles See, feverish and gun-waving, who threw terror into the hearts of the tenants. July 22, 1924. Roy Shellington called 425 home, or at least he did until Federal prohibition officers noticed he was overly cautious in handling his suitcase while little doggies nipped at his heels. Shellington bunked in the hoosegow after the Feds found twelve bottles of Scotch inside, verboten in Volstead America. Alex Markovich, 33, lived at 425, but had the misfortune of making his way down to Third and Spring on December 28, 1953. There he was jumped and beaten by hoodlums Alphonso Ruiz, Ramon Zaavedra, Gilbert Garcia, and…Mrs. Eleanor Talkington. Luckily, while Markovich was in critical condition at General with a basal skull fracture, the perps were charged with suspicion of robbery and ADW after having been ID’d by eyewitnesses, who were none other than Joaquin Aquilar Robles, former Police Chief of Tijuana, and Rafael Estrada, ex-Mayor of Ensenada. Not much to tell about 421/419, other than recommending one leap upon well-dressed gents tipping their hats with a “good evening,” as they’re bound to be window-pryers from next door. Another piece of good advice is that once you’ve checked in, it’s best to never set foot outside again. Especially if you’re an elderly gentleman. 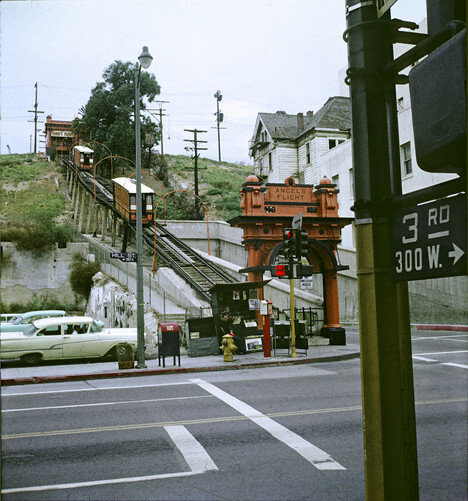 On November 4, 1944, Mattie Mitchell, 70, departed his apartment at 421 and was run down by an LA Railway streetcar at Fifth and Hope. Joseph Erolet, a 77 year-old news vender ventured outside of 421 on May 23, 1946, and was clobbered by an auto at Brand and Wilson in Glendale. And so concludes today’s report from this block, and the particular concavity that spawned the ongoing completist account of its whats and wherefores.